I have had a few queries from writers recently about the number of stories they can send into us. Trembling With Fear does not put a limit on the numbers you send in, however, if more than one is accepted then those stories will be spread out over the year depending upon our publication schedule. Be careful how many you send in at one time though, if you send in several stories at once it may be some weeks (or even months!) before I get back to you. What I would ask if you are sending in more than one story is that you send them as separate attachments to your email, ie do not send them in the body of the email or in just one document as I then have to split them out. 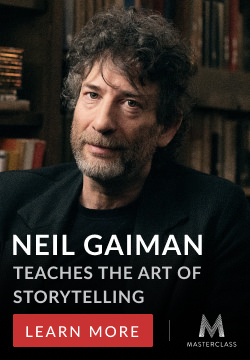 In your subject line have ‘TWF: Story title’ or ‘TWF: Story title, Story title’ etc. Occasionally I have overlooked submissions because they do not carry ‘TWF’ in the subject line. You do not need to put the word count here, just make sure it’s included in your document. In the body of the email identify your story as either a drabble or flash story. And finally, if you do not hear from me about your story, whether it be a missing acknowledgment of receipt or we’ve said we’re looking at it and you haven’t heard anything (please allow 3 weeks at least for this), feel free to get in touch. We’ve had a good rate of submissions in recent weeks and I’d like to thank you all. Your support for TWF is wonderful to see. Love is in the air! Steph pretty much covered everything official for this week so I just wanted to welcome you all to our Valentine’s Day edition of ‘Trembling With Fear’. As always, we’ve got some great works to read here and I hope you enjoy them as much as we did! Please be sure to leave a comment for any that really stood out so that the authors can get your feedback. You never loved me like I loved you. Patrick replaced his marker with a kitchen knife and carefully carved a heart around his poem. This was not what he envisioned when he showed up at Annabel’s door tonight with a dozen red roses and a gift of gourmet chocolates. Neat, black letters surrounded by a heart of liquid crimson on the pale canvas of Annabel’s torso. He selected a raspberry-filled chocolate from the heart-shaped box and placed the sweet darkness against her cold, blue lips. Lionel Ray Green is a writer, an award-winning newspaper journalist, and a U.S. Army gulf war veteran living in Alabama. His short stories have appeared in the anthologies “Fifty Flashes,” “How Beer Saved the World 2,” “Graveyard,” “Frightening,” “Tales from the Grave,” “In Creeps the Night,” and “22 More Quick Shivers.” His work has also appeared in the 2017 issue of “From the Depths” and on the Horror Tree website (“Trembling with Fear,” Jan. 14 and Jan. 28, 2018). We lay on the blanket, our bare feet tickling along the grass, for hours. She would lay back as I leaned over her, staring into that gorgeous face while I fed her dainty grapes. I told her things that I had never dared to tell anyone else. I even got to crying, and when I did, she told me everything was okay. And she made me believe it. And as the sun finally set, I put her back in her casket, filled up the hole, and left with a lighter heart. Candles flickered, their soft light hiding harsh reality. Gentle music filtered through air scented by roses. Tears filled Sarah’s eyes and her body shook with emotion. Don started to speak but she could barely focus. This was not what she’d expected. She had flaunted her affairs, taunted him for his weakness, asked for a divorce; had grown to hate and despise him. Now however, she found herself renewing her vows. Words she had once wish she had never spoken in the first place, she now found herself repeating. But what else could she do with a gun to her head? Stephanie Ellis writes speculative fiction stories which have found success in a variety of horror magazines and anthologies. Her first novella, Domnuill-dhu has recently been published in Dark Chapter Press’s Bloody Heather anthology. 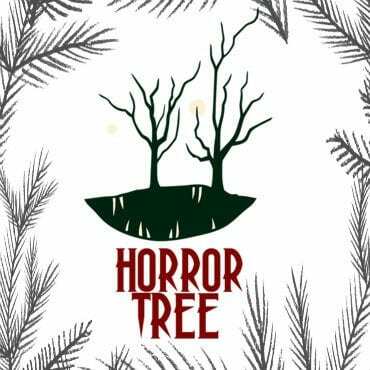 She is also co-editor at The Infernal Clock and at Trembling with Fear, the online magazine branch of Horror Tree (the online writer’s resource). She is currently awaiting decisions from publishers following submission of a novel and a novella. Mixed marriages don’t work. Mum had tried to warn me. Valentine’s day rolled around. Our first. Loved up, I bought a card, chocolate hearts, balloons. I flicked the light switch. Nothing. Darkness sucked at me. A smell tickled my nostrils. I flick on my iPhone torch. Vinnie is perched atop our table gnawing on a sheep’s heart. He smiles bloodily at me. Fangs extended. Alyson trained originally in the UK as a teacher/tutor. She wrote a couple of children’s books which were published by Collins and Ginn. Now she lives near Bronte terrain in Yorkshire with her teen son, partner and 3 rescue cats. She writes noir Flash Fiction (some of which is published on line) and spooky longer tales (3 are available for download on www.www.alfiedog). She has a collection of her Flash fiction coming out soon from Chapel Town Books in the UK. She enjoys old movies, singing, and swimming. She is a confirmed chocoholic and is still hopeless at maths. Her blog is at http://www.alysonfayewordpress.wordpress.com. The roses strewn across the floor no longer smell as sweet. Their hue is still a brilliant red but that may be due to the blood which has spilled on them. She thought about the lipstick on his collar and got angry once again. “You did this,” she yelled at his prone figure, regret clouding her mind, wondering if he was still alive. “Shall I shoot you again?” her glance no longer loving. He moaned as if in pain. She lay prone beside him, the pills already starting to work. “Happy Valentines Day,” she smiled as she pulled the trigger. Max didn’t mind fiancée Tammy using his flat to host a Valentine’s party for her single girlfriends. He was away again. The bell rang, in they came – the sad singletons. Cheering, they raised glasses of sparkling, crimson bubbly. Tammy patted her stomach. They all nodded, understanding. She turned the music up – just in time. The girls doubled over screaming, vomiting scarlet rivers. Glasses fell, smashed as blood bubbled from their dying throats. Tammy raised a toast to cheating Max and his secret lovers. I live in Yorkshire in the North of England and write short stories and flash fiction with an ambition to eventually pen a novel. My passion is and always has been for the dark, supernatural, spooky world. I love discovering tales from ‘new’ writers and have found some great talent out there such as Michael Leese author of Going Underground (Jonathan Roper British autistic detective) who I discovered via a Kindle free offer. ‘The Pulse of Everything’ and ‘The Darkening Season.’ Both are available to buy on Amazon. My aim for the coming year is to update my newly set up Word Press blog https://jocampbellcreepycreations.wordpress.com and begin that novel. A father, husband, published author, blogger, geek, entrepreneur, horror fanatic, and runs a few websites! On the side, he somehow finds time to write articles on ScienceFiction.com and is the Editor in Chief of the Journal Stone Network of sites. He watches her shower and dry her hair. He observes her staring into the mirror, her startled jumps as her peripheral vision catches a glimpse of his shadow. He gazes at her sleeping, alone, all alone. He listens to her nervous, pleading chatter with friends who don’t understand. She stares at his photo, next to the vase of roses. A shrine to their everlasting love. He whispers in her ear at night how he will never leave and always be there. Male visitors are discouraged, he would hate to punish her. Why does she cry? I’m with you darling. Always. A dozen red roses delicately entwined with gypsophila and wrapped in shimmering pink foil arrived prior to Emma leaving for work. Emma left work for her boyfriend’s apartment. Stepping inside, the warm subdued glow from candles lit a pathway towards the kitchen. Soft music relaxed Emma as Tom kissed her cheek before seating her at a perfectly arranged table. Once the poison acted Tom would fetch his knife and claim his lover’s heart. Forever.